How good are you in simple arithmetic calculations? 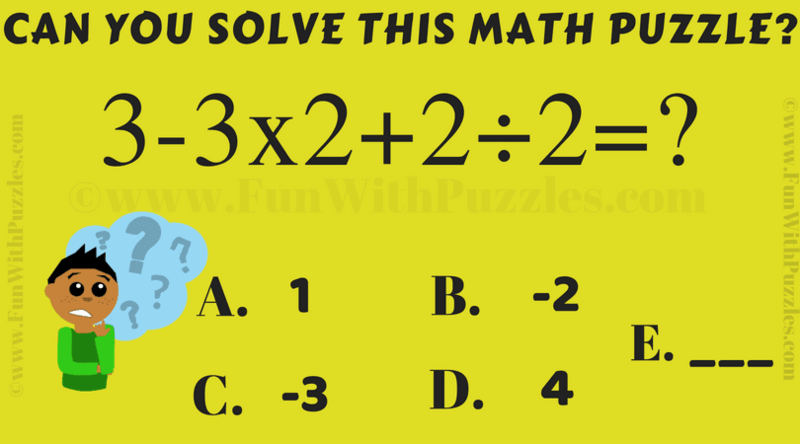 Test it out your quick solving Math skills with this Math Puzzle. In this Math Puzzle, simple Arithmetic Math Equation is given. Can you find the value of the missing number which will replace the question mark in this Math Puzzle? Can you solve this Quick Calculate Math Puzzle? Answer of this "Quick Calculate Math Puzzle for Kids", can be viewed by clicking on button. Please do give your best try before looking at the answer. The answer is a.1 or -2is there.🤔😐😑😶🙄😏😅😥😣😕😓😯😫.